Steve joined the team following a long and successful career with HSBC, where he was an award winning Financial Adviser in Personal Financial advice, over a 10 year period. Steve strongly believes in the value of a long term financial planning relationship with his clients and believes that now he can set his own high standards when dealing with clients and providing advice. He feels this is ever more important with a rapidly changing financial climate and the needs of clients evolving over time. By understanding client’s needs in depth and providing a high level of service, as well as building trust over time, Steve ensures he can service his client’s needs and deliver a bespoke personalised proposition and service. 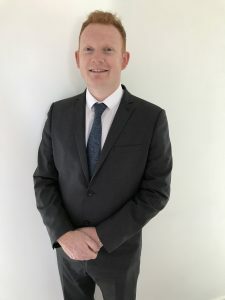 Steve is now the owner of Stephen Elvin Independent Financial Advice Ltd and the business support provided by the Vision group means Steve can do what he enjoys the most, and look after his clients, their families and their financial arrangements and needs. Outside of work Steve enjoys spending time with his wife and travelling, he is also a keen musician having played the drums for 14 years and also teaches some private students.